Ron here! As you're reading this, I am probably soaking in some sun rays on a beach island off the coast of Spain. In an attempt to bring you some interesting summer content to chew on while I'm away, I've decided to spill a little bit of a recent personal project of mine a day before I leave. Yup, video game music. I've been digging through a lot of my favorite gaming soundtracks recently and trying to make an ultimate mix playlist of all of my favorites. Who knows, maybe I'll share them with the kids one day! What infant doesn't love the theme of Sephiroth stabbing through Aeris as they try to sleep in their crib at night. I'll drop it down to ten, but this is not an exact science by any means. This ten could entirely change within a week, and this is what I am feeling at this moment in time. And speaking of time… our first selection! I gave Chrono Trigger a run-through earlier this summer, and I couldn't fight back the tears when its closing theme fired up. Crono and his friends had saved the world, departed for their respective time time periods, and left us with a endearing feeling that no matter how impossible, their journey will never truly end. It might be blasphemy, but I like leaving Chrono Trigger right where it left off, and allowing my imagination to fill in the rest. No need for sequels or… pseudo-sequels. There is nothing in the world like sinking time into a childhood favorite and then having it wrap up with the exact level of satisfaction you felt as a bright-eyed kid. "To Far And Away Times" touches on all the moments that the game has covered, flashing back to the happy times of your adventure, and its relaxing renditions pierce right to the heart. After hearing this song roll with the credits, it will stick with you until the next time you set off with Crono and friends once again. What an immortal masterpiece of a game, and what a perfect song to close it on. It's videos like this that make me miss the 90s so much. Speaking like an old man, nothing seems groundbreaking or legendary anymore. Games have become pure consumption. You see everything there is to see before it even comes out, you play the game, you beat the game, you move onto the next. Maybe the occasional future classic might slip by, but by and large, nothing leaves a deep enough footprint to just impress the hell out of you. No Man's Sky is looking like it could fit that bill, but I'll have to peel myself off this beach to play it, and yeah… that's not happening. Enjoy your digital universe. I'm getting a tan! Soul Blade's introduction is the stuff of legends, largely due to its insanely cheesy theme song "The Edge of the Soul." There isn't a person alive who turned this game on in 1996 and was prepared for what Namco had in store for them, and I don't think there is a person alive who enjoys the actual game more than this video. Back before the days of YouTube, I used to turn this game on just to hear the song if I needed to get myself pumped up! And if we're talking the stuff of legends here, Capcom's NES line-up has got us covered on countless fronts. None could match the talents of Capcom's chip-tune composers back in the day, and two theme songs remain at the forefront of most NES fans' playlists. We'll get to the other one in a second, but let's start with the pure leader of the bunch. Nothing can touch Mega Man 2's "Dr. Wily's Castle," and this is coming from a game where absolutely every track is a certified masterpiece. This song sets up the perfect message of a desperate assault. One young boy, armed with the experience of battle and weapons of his foes, launches an assault against an impenetrable fortress… with a huge skull on the front. A horrifying giant skull! Can you imagine?! After throttling the minions that stand in his way, he finds a single ladder up the side that grants him access, but he must traverse thin platforms to avoid the dangerous pits below. One misplaced step, and it's all over. And what's at the top? Blocks that fall out from under his feet and a giant, robot, fire-breathing dragon ten-times his size! No problem! I'm Mega Man, and you're all dead! Excellent, heart-racing theme. Such a classic game couldn't ask for more. Capcom's other classic 8-bit masterpiece. I'm going to post both the original and the remix from the HD remaster here as both stand tall as some of gaming's greatest compositions. This one is a lot harder to pin down the reasons for, but I'll just come out and say it is infectious to zombie-outbreak standards. You know how YouTube has those extended "1 hour of…" or "10 hours of…" videos? Yup, I've run the challenge on this song, from beginning to end. In fact, I think it even makes me write better! I get pumped listening to this, and dare I say, it's even more addictive than the cartoon's theme. The Persona series is defined by its slick style and great music, and the Nintendo 3DS hit Persona Q: Shadow of he Labyrinth is primarily defined by its unapologetic ability to take those elements, boil them down to their most basic levels, and send the results into overdrive. Your favorite characters are mere one-liner jokes for the entire 40 hours dungeon crawl, and the music… yeah… just insane. …I'll never get tired of this theme. Much like Soul Edge's intro, I sometimes would get into fights playing Persona Q on the train and just let it boil by blood. I love the voice work, the fast pace, and of course, the lyrics. "Going gorillas, bananas." This unapologetic, over-the-top spoof on Persona's style actually trumps the real-deal. I love Persona 4's music, but there isn't a track on there I like more than this. What makes "Light up the Fire in the Night" even better is that there are two versions! 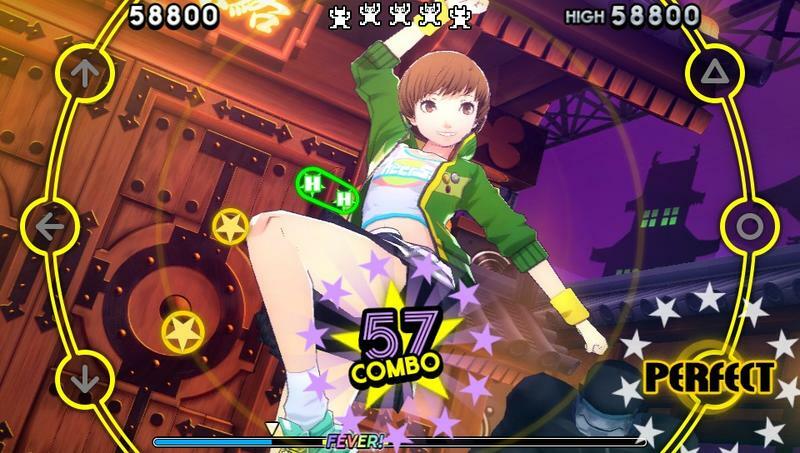 I prefer the Persona 4 version, but what's a more exciting way to celebrate both than to mix them together? The results here is clearly larger than the sum of its parts, almost like Atlus was asking fans to make this little miracle happen. No point in fighting off the fanboy urges here. Suikoden II is my absolute favorite video game of all time, and the series' main theme is one of the most underrated in video game music. Never before has there been a tune that's been able to stir such a range of emotions, from getting pumped for an upcoming battle to relaxing in the comfort one's own home to kneeling besides a dying friend for his last breaths. Konami's composers found countless ways to remix this simple tune throughout the series, but never did they find more success than when they decided to add lyrics. This version titled "Orrizonte" didn't make it into the North American version due to a bug, but blessings be praised upon the Internet for letting desperate fanboys like myself finally experience it so many years later. Beautiful remix to a wonderful tune that sits near and dear to my heart. I've gone back a lot through the Final Fantasy soundtracks, and I've started to believe that maybe legendary composer Nobuo Uematsu's greatest contributions to the series can actually be found in its first game. The classic Prelude Arpeggio, the Battle, Town, and Overworld themes, all classic. However, it's in the main theme itself that we find his most emotionally arousing bit of music. "You're going on an adventure, and you know what, it is going to be absolutely epic!" That's all an RPG opener needs to say, and this theme does it a lot better than most… dare I say even better than The Legend of Zelda? Uh oh. Them's fightin' words! Square Enix has luckily remembered that it exists too. The theme recently turned up in both Final Fantasy XIV and Final Fantasy XV as the company appeals to those fans who loved the series during its early days. Talk about emotional. The first time I saw that Final Fantasy XV trailer was a little too much. You can pull those heartstrings all day long, Square Enix. I don't mind. Just another example of how to get an adventure started off right. Wild ARMs isn't the most original or memorable game on the face of the Earth, but it will live in the hearts of JRPG gamers around the world because of its excellent intro. Again, you had to be there in 1996, like with Soul Edge. This kind of thing wasn't an everyday occurrence like they are now. These intro videos were a revolution in storytelling, setting a perfect mood to get you ready for your experience. These two were the best, but with much different tones. Wild ARMs is a game about loneliness, and never has there been an RPG song that better captures that feeling. Three misfits wander the Earth, unable to fit into the ruined society they belong to. They find comfort and companionship in one another and set of on a quest to save the world. But of course, what else do heroes do in JRPGs? "Into the Wilderness" is great in that it acts as both the opening and the closing of the game. Media.Vision retooled this tune to make a nice ending theme as well, a reminder of all that you and your friends accomplished over the last 30 hours of adventure. Wild ARMs doesn't do everything right, but when it comes to music, it's second to none from the early days of the PlayStation. Konami was never quite able to carry the Castlevania series through the 16-bit generation with the same gusto it did on the NES. At least, that was the narrative we were spoonfed for a good many years. Then, the Internet taught us of a legendary TurboGraphx CD entry released only in Japan, and fans around the world immediately set out to find it. When they did, they not only got the rockin' 16-bit Castlevania the world had forgotten about, they also found its amazing soundtrack. Remixes from the original games, like "Vampire Killer" and "Bloody Tears" never sounded better, but it is this game's original theme "Bloodlines" that sets it apart as something new, improved, and indisputably "90's Japan." Konami worked its magic with the improved powers of CD quality audio, creating music much more inspired by pop-Japanese soundtracks and anime music during its heyday of the 90s. Live A Live – Go Go Buriki Daioh! This one needs a little context. Live A Live is one of several excellent Super Famicom Square JRPGs that never made it to the United States, so a good many gamers out there might have never even heard of it. The game stars many different heroes and many different stories, and one of the more popular ones focuses on a troubled orphan boy from the near future named Akira. Radiation pollution granted him the power to read other people's minds from a young age, and he uses these abilities to win fights with bullies and defend the local orphanage on an everyday basis. When biker punks kill his idol, burn his orphanage to the ground, and threaten his town with an all-powerful destructive bird god, he dives through his father's old belongings and stumbles upon an ancient giant robot named Buriki Daioh. His mind-bending powers are the key to spring the mechanical beast to life, and he takes control the robot, bursting it from the ground in a marvelous explosion. From there, the ultrapowers of Buriki Daioh lay waste to everything and everyone that has made Akira's life a living hell. When the smoke settles and the corrupted army, police, and bike thugs scatter the ruins, he turns his focus on the giant bird in an epic battle over the city. Sound amazing? It really is! Live A Live features one of gaming's greatest "HELL YEAH!" moments, and yet so few outside of Japan have actually experienced it. This is the song that plays in the background, obviously spoofing the mecha anime genre, and it even has its own lyrics written on the bottom. This of course means it's been performed somewhere in a Japanese concert, and it's just as marvelous as you would expect! Yeah, I'm not sure I can top that. Have a good summer.